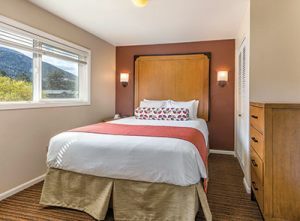 A Beautiful Colorado Timeshare Resort in Estes Park! 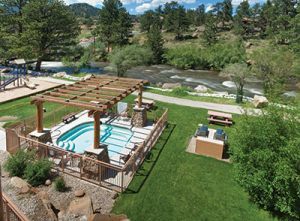 The WorldMark Estes Park is a beautiful Colorado timeshare resort that sits on the Big Thompson River. With the Rocky Mountains just outside your door you can expect a great wilderness vacation. 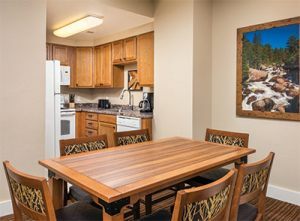 From your timeshare unit you can walk down to the edge of the river and have a picnic. If you are a fly fisherman you can try and catch some Colorado trout. 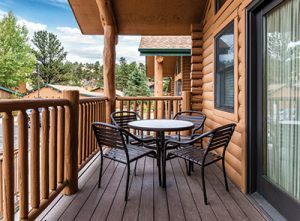 There's a great chance you will see some wildlife right outside your window as Elk are known to frequent the WorldMark Estes Park property. 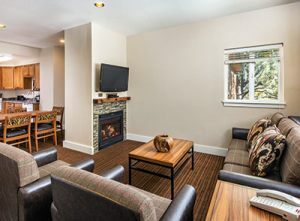 Each of these WorldMark condo units feature a full kitchen, separate dining area and gas fireplace. 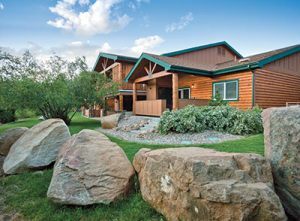 This Colorado timeshare resort has a seasonal outdoor pool, three hot tubs, fitness center, game room, laundry facilities and picnic area. 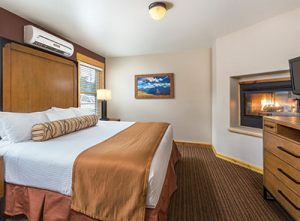 All of these are available on site at WorldMark Estes Park. Colorado is known for it's beautiful dry climate and Estes Park in particular has around 300 sunny days per year. 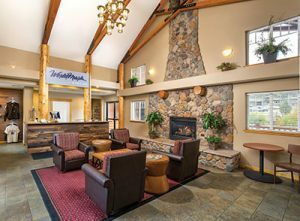 The WorldMark property is a year-round timeshare destination. Come fish in the summer and snow ski in the winter.